Our Goals In the Bear Den, there are four general achievement groups: God, Country, Family, and Self. 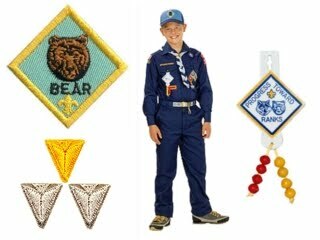 There are 12 achievement tasks and your Bear Cub must earn a certain number of achievements in each of the four groups to earn his Bear Badge. This is the year your son will grow in amazing ways. 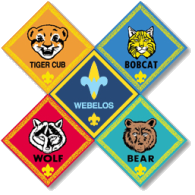 After earning their Bear Badge, the scout may earn arrow points by completing additional achievement tasks. Did you know you can sync the Scouts calendar to your device? Click the "+google calendar" link just below the calendar displayed here on the Pack 99 website. It will then show you all of the Pack events!